Come and pamper yourself and discover an ocean of wellness and sweet sensations. The SPA, the sauna and the jacuzzi of the campsite with its 115 jets combined with the temperature of 34°C are a wonderful opportunity to benefit fully from the effects of water and heat. Live these moments of serenity intensely in a small and intimate space with its impeccable decor. You can also book a private session in the wellness space so that you can get the most out of these moments with your nearest and dearest (for 1-4 people). Fancy the idea of body treatments, facials or massages, carried out by a qualified beautician? Well it's possible! 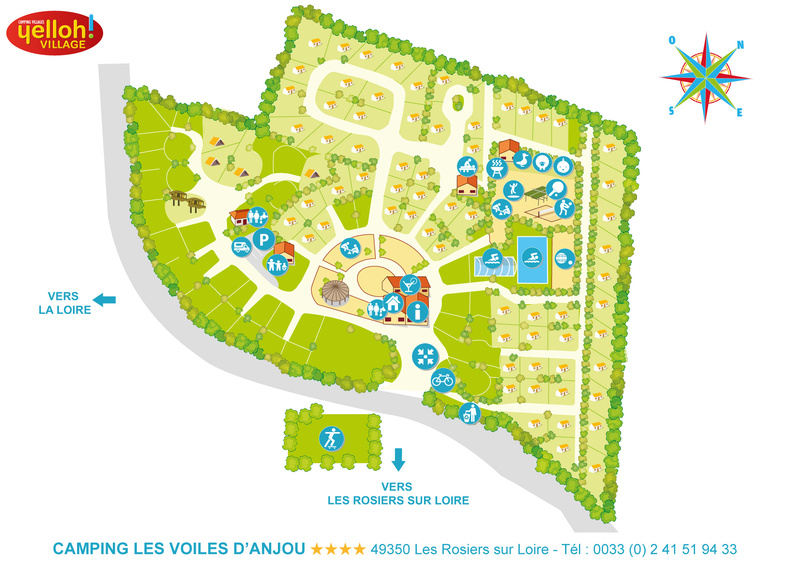 When you book, the beautician of the village of Rosiers-sur-Loire will come and provide a wide range of treatments, suggesting the best ones for your needs. Let yourself be guided!